A year ago Frank 151, New York's urban marketing powerhouse, published an interesting article about London's Foot Patrol (or is it Footpatrol), a sneaker store founded by Fraser Cooke (Nike,) Michael Kopelman (Stussy, Hideout/Hit & Run) and Simon Porter in 2002. I visited a couple of times before I left London and had no idea until reading the article that retail megachain, JD Sports, acquired Foot Patrol. That could've been a horrible death of an innovative store. But, it seems that the store has continued to tread the sneaker leadership path under the new management. Read more about how Foot Patrol has fueled British youth's street style addiction here. Three degrees of separation I remember Fraser Cooke as "a friend of a friend" (Dexter Norris/The Brotherhood > Trevor Jackson/Underdog > ) who was wholesaling cool American street clothing and, through that, he was connected to the London hip hop scene. Or was it vice versa? Anyway, I heard he joined Nike as their man with "finger on street style's pulse." The actual truth can be read in this KTC article that was picked up by Hypebeast last summer. There's so much history about the London scene in this interview and now Fraser lives in Los Angeles, after moving back to the U.S. from Tokyo. May be our paths will cross!? "From London to Tokyo, Mo’ Wax to Nike, hairdresser to brand heavyweight – Fraser Cooke talks about the inspired and fluid journey that has taken him to where he is now. 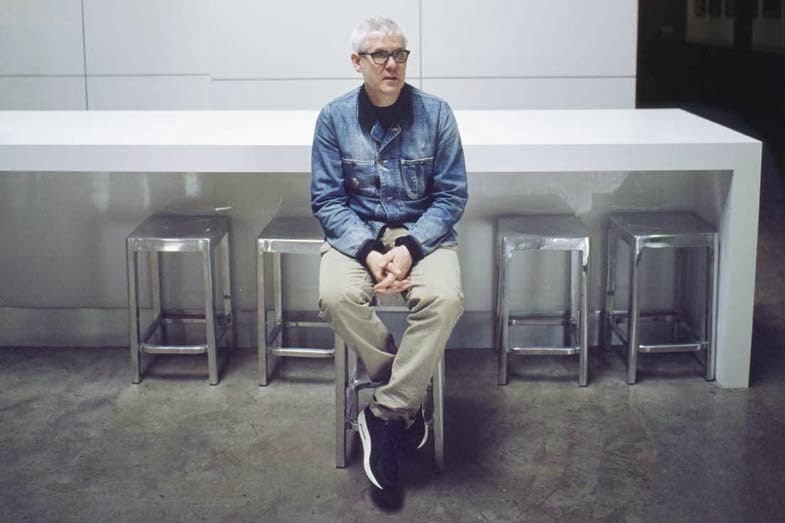 The Nike Global Energy Marketing Director exerts huge influence on the realms of streetwear, brand innovation, marketing and inevitably design. So you’re from London? Yes, I was born in Whitechapel, East London but I grew up on the end of the Central line (east) in the suburbs, but I lived all over London. The final place I had before moving abroad was in Islington close to Highbury Stadium. I used to live in Shoreditch around 1995 and it was dead around there, it was so cheap to live in a loft. There were no shops open at night, if you needed a pint of milk you had to go to the petrol station. In contrast to how it is now, back then it was like a ghost town at the weekend. When I visit London now, I stay in Kensington. I prefer that these days. I like the slickness a bit more. I can see if you are young that it must be quite exciting to live in East London but, personally it’s not what I am looking for these days. So how did you get into the industry? What is your background? When I was growing up I was always into skateboarding, Hip Hop music and stuff like that and it was always in the background. Originally, I trained as a hairdresser and worked for Vidal Sassoon. I did a three-year apprenticeship and moved on from there to a salon in Soho called D-Mob, which was a bit of a scene. They had their own clothes store and also a salon. Nearby was another clothes store called Passenger and I used to cut the guy’s hair that worked in there. Around this time I was quite friendly with Karl Templar who was at the time working at the Face. They were doing this thing called Fashion Hype at the time, which looked at new cool stuff in the front section of the magazine. There was a large American influence; Public Enemy was very big so they may have styled someone in a Raiders Starter jacket or something like that. I was into that sort of stuff and into sneakers and the guy who worked at the store (Passenger) asked me if I wanted to come and work as a buyer. I was a little tired of cutting hair at that point and felt this job was a kind of calling, which I think it has to be if you’re going to do anything for a long time. This was before any reissuing or anything. We used to work with some other stores with a lot of deadstock inventory, old Nike’s, old suede Fila’s, which were very popular, back then. I only worked there for less than a year till we parted ways but I made a lot of good contacts in New York and some good friends. You went back to cutting hair? Yes, after that, I went back to cutting hair temporarily but while I had been in New York I met a guy called Don who had a label called Pervert and he kept sending me stuff. I would give it to Karl (Templar) who was still at the Face and he would feature it in the magazine. He would put my number in there as a contact and suddenly I became a distributor by default. Stores would call me asking where they could get stock. So as a result, I learned that I could make some money out of this and earn a living. Back then I really wanted to live in the US as I was excited about the things that were coming out of there – musically and stylistically. So I set up my own distribution company and would go back and forth to New York and it funded itself as a business. As well as this, I was also doing other projects such as working with Blackmarket Records in London. The Rave scene was very big and we would sell tickets out of the store. As a result I ended up meeting James Lavelle who had just started Mo’ Wax. He was working at Honest John’s record store and I was living off Portobello Road. He was a young kid from Oxford and he said he needed somewhere to stay, so suddenly I had a flat mate and by default Tim Goldsworthy (producer an Mo’ Wax co-founder) would stay as well. You ended up working together? Well James was into the Hip Hop stuff that was I playing so I guess we inspired each other and I became an early employee of Mo’ Wax. On the very first few releases you can see it’s only the three of us credited. I began doing some deals with companies to license tracks and also James needed some merchandise. So I started making T-shirts and bags for the label with people that I knew along with doing my own distribution for my own company. We all moved into an office together and this went on for a few years. It sounds like quite a fluid and flexible way to work. You diversified into doing other things too didn’t you? I was doing this and that, DJing, a lot of writing, I used to write for the Face and i-D, Arena Homme+. I was always quite friendly with Michael Kopelman (from Gimme5); he was someone I would run into. We would come out to the States twice a year to the action sports retailer tradeshows. Michael was always big into the Japanese side of street wear and one day explained to me that he really wanted to do the Japanese market and American market properly and not just as a wholesaler. He didn’t think that any of the stores were representing it very well and asked how I felt about ‘teaming up and opening a shop?’ And at that time I was ready for moving on to the next thing so it seemed right. This was when The Hideout first opened then? Yes, we opened up under the name Hit and Run but we had to change it because the name was registered elsewhere. It then became The Hideout. This was 1997 and I would say it was perhaps the first genuine Street wear store outside of Japan. It was a great time, it was a good scene, the Mo’ Wax thing was still happening, the Bathing Ape thing was kicking in early and I was still DJing. (London nightclub) Fabric had just opened and we started doing stuff with them. It was good. How did the hook up between yourselves and Nike get going? After a couple of years we got approached by some guys from Nike who was doing a form of what we would term now as Energy Marketing, this was done via placement and trying to push product that other stores wouldn’t take as it was too risky. The first thing he brought to us was the Air Woven, so we turned the store into a pop up Nike store for a few weeks and it just blew out – people went crazy for them. We were also quite close with Hiroshi Fujiwara who I had met a few years back through Mo’ Wax. Hiroshi was already getting involved with Nike in Japan but saw the collaborations we had been doing which influenced him greatly, things like the Wovens and subsequently the HTM shoes. What we found was that the customer who would buy sneakers from us wasn’t necessarily the same one that would buy the apparel lines we were doing. We felt there was a lack of good focused boutique sneaker related stores, so Michael and I opened Foot Patrol. Around the world other boutiques began to open such as Undefeated and Alife Rivington Club, which became the core sneaker destinations. It was exciting and new yet it seemed quite tough to get the right product. I think it was hard for the brands to justify why they would give this little store that doesn’t buy much this exclusive product. But all of us were at the scene and hooked up with the media so we made it work and showed our influence in other ways. But we learned over a few years that the business model was very difficult, and I would say it still is now. So despite having to play the game of retail, you’d sown the seeds with Nike. How did your relationship continue to build from that point? During that period a group of very senior people at NIKE did a European tour and went to Milan, Paris and then finally London. In each city someone outside the company was invited in to show them around. In London, I was that guy. We spent three days together and I took them to different places, I took them to the store. We already had a good relationship with Nike as we had been working these projects together and at the end of this trip they approached me and asked if I would consider working for them. What does your role entail? I work in a part of the company called Energy Marketing which is where we look at the evolution of culture, where it’s heading, how sport is evolving culturally and informing or being informed by art, music etc. We have people in a number of cities and they open up conversations. The idea is that they put Nike’s work in front of people that are a little more forward thinking with their ideas. It’s about finding those people who appreciate when things are different, who aren’t followers and can see when something is interesting. Initially, I moved to Portland to work on the marketing side but my thing was that I was always into product – I was a buyer and a distributor and had been working in retail so I came from the unique position of also having this insight. Now, it’s my job to help consult on each part of the process. From product inception to design, to sales, marketing etc. What was the thinking behind the move to Japan? I went from Portland to Tokyo as I felt I was losing touch with the things that were inmportant to me and the job I was trying to do. Tokyo was doing very much as it does now in influencing Europe and Asia. They were the pioneers. To me, streetwear as we know it now is not an American thing. It was instigated in America but what it is today is because of the Japanese. So can you tell us about how you met Jun Takahashi? I’ve known Jun Takahashi since 1997 when I first visited Japan. He was a friend of a friend who used to work at Gimme 5. Subsequently, when I would visit Japan I would sometimes stay at his house so we’ve had quite a long term friendship. How did the relationship between Jun and Nike come about? Jun is a great designer and is also one of the most creative people I know. His work lives in the fashion world but he also has a street edge. I was looking for a way to bring him into working with Nike but it wasn’t always the right time. And then, a few years ago, Jun got heavily into running. Obviously running is the roots of Nike so this seemed like something we could look at. So, I called Jun up and suggested he may want to do a project with us that focused on running. Jun was interested, I think for him it was a case of “I’m in as long as it’s not a fashion project because that’s what I do anyway”. How did it progress from there? We began this project with a fairly small capsule collection and I worked on the marketing helping to facilitate the process by making sure it got in front of the right people and in the right stores. Jun has a lot of ideas so there’s always a lot of input back and forth, and I am the main liaison between the two sides. Since the first drop we’ve done several collections and are widely regarded as some of the strongest product Nike has to offer. Can you tell us a little bit about the Gyakusou project? A lot of people mention that the Gyakusou project is so forward thinking but quite honestly, it’s something that really comes from the top of the company. Our CEO is a designer and he likes to push the edges. A lot of the classic Nike’s came from his hand and mind. He was a big supporter of this project. When you bring in someone from another industry who understands sport you learn new things about the way things can be made or the way problems can be approached. And they learn from us too. We work with some of the most demanding and driven human beings on the planet, so the skill set and abilities within the company are strong and very broad. But going back to the influence of our CEO and his desire to push the boundaries of design…We are involved with a project with the artist Tom Sachs that came out weeks ago and when I first started with Nike we did a project with Marc Newsom (industrial designer). 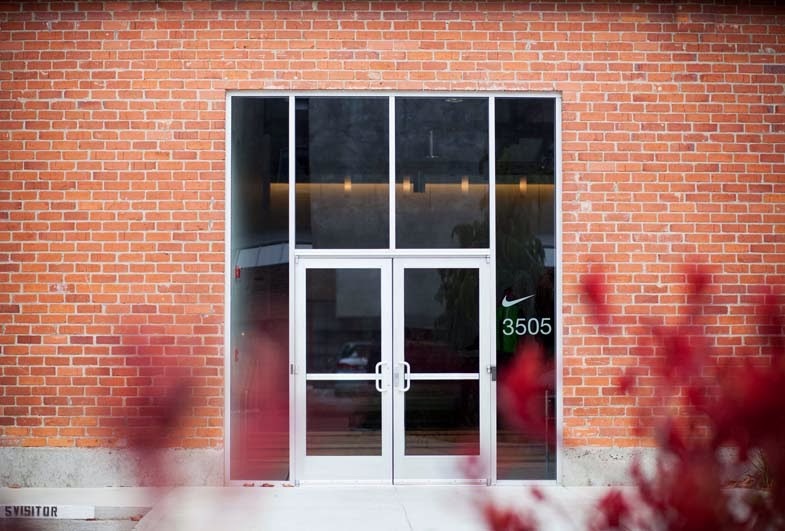 Nike is definitely the leader in terms of sports performance innovation but we also like to get involved in these projects. I don’t think they’re termed as fashion, probably closer to art, craft and the way designers approach a problem. Someone like Jun for instance is an artist in his own way as well as being a genuine runner. He is always training and trying to improve as a runner. So with this collaboration, he approaches it is an athlete who has a unique understanding of design." Glenn Kitson for KTC.